I know, I know, it seems so sad to be discussing back to school already. Especially when for many of us, are only halfway through the summer break. But I found this fun summer linky to join up on. 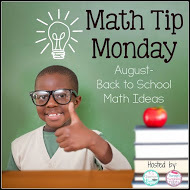 It’s called Math Tip Monday, and it’s on the first Monday of the month. So here we are at the beginning of August and it’s time to join on up. I generally start my year with a unit on Graphing. I figure the kids have spent their summers thinking about anything except Math, and that they are not ready to start thinking about addition and subtraction. Graphing is really easy to do with real-life items. It's low pressure and the kids always enjoy it. 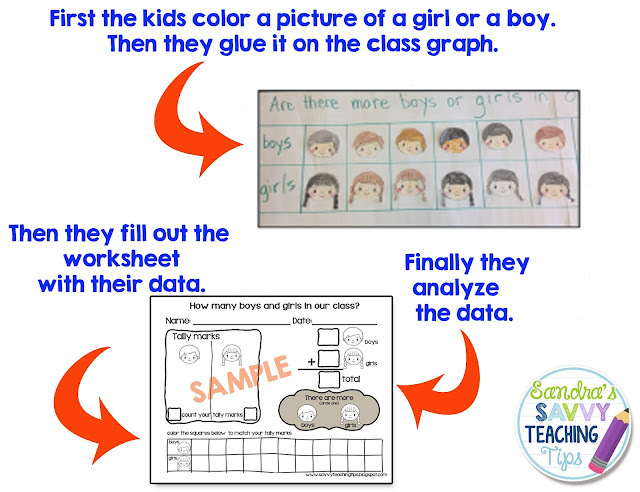 I have been using this graphing unit idea for Kindergarten and grade one and two. It works well with a split class too as each child can work to their own ability. 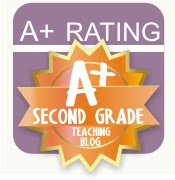 to check out my great graphing mini-unit. I always start by graphing the number of boys and girls in the class. You can do this with the actual children themselves, or by having them draw a picture of themselves on a small piece of paper and then gluing them on a chart paper on which you have drawn a graph. I like using chart paper, because then I can hang it up on the wall of the room to refer back to. You can graph their shoes (laces, velcro, buckle, or slip on) You can graph their hair or eye colour and you can graph their preferences – they like apples not oranges, etc. etc. 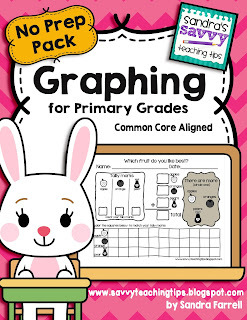 I have a great unit on graphing in my store which you can find by clicking on my products link above. Below you will find a preview of what's inside. Don't forget to stop by and check out all these great ideas below!!!! !